We are happy to announce that Poloniex supported the EMC2 FORK, and they are now running new nodes (wallet version 0.13.48.0 - Excalibur). Bittrex and others are already supporting it. Most of you are aware of what this means to us and how important this event is for Einsteinium coin. If you have any questions feel free to ask us! FORK will occur on block 1699157. The date displayed on the poster is calculated based on current block and block time equivalent to 60’’. Burn: After the FORK, approximately 55 Million coins will be burned from the future supply. There will be half a million coins less per month added to the circulating supply. Please use Supernova or H2C pools. Both pools were very prompt in updating wallets to Excalibur. We are grateful for their support! The EMC2 Dev team is working on updating our roadmap. The initial draft will be available soon (next week). Project details will be available before the fork. Video tutorials of how to backup your keys and move coins to new wallet are recorded and will be published soon. 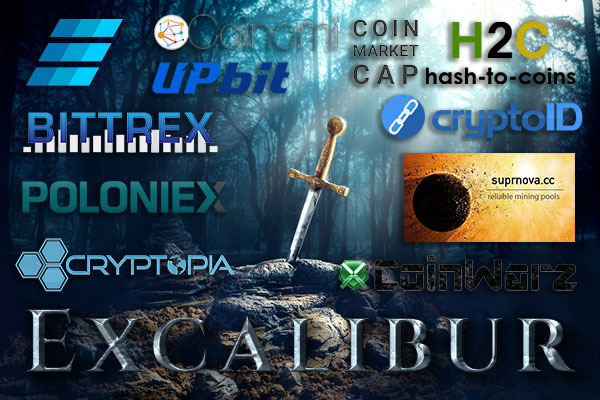 We want to thank all exchanges and other partners for their support in upcoming fork.